In November of last year, I wrote about how to set up iCloud for your iOS devices. iCloud is Apple’s deluxe file synchronization server that has been enhanced with the recent release of its latest operating system, Mountain Lion, 10.8. iCloud has been most useful for updating email, contact, and calendar data across Mac and iOS devices. But now it includes additional features for document files, for both Apple native and third-party applications. In this article I explain many of the pros and cons of saving text documents to iCloud. iCloud is most useful if you’re using more than one Mac and/or iPad or iPhone. There are also third-party text applications like Byword which also take advantage of iCloud. And if you’re PC user, Apple explains how to set up iCloud on Windows. If you have set up iCloud on your iOS device(s), then all you have to do is enable it in Mountain Lion on your Mac, by launching System Preferences > iCloud. Make sure Notes and Documents & Data are checked. This will enable applications to save documents to your iCloud account. As for Apple native word processing applications, only the Notes app, TextEdit, and the separate iWork office suite–Pages, Numbers, and Keynote–work with iCloud. However, if you need to sync your documents across devices, only Notes and iWorks will do that. There’s no iOS version of TextEdit. You can though share TextEdit documents between Macs running Mountain Lion, but not on Windows. If you don’t need all the extra features of iWork applications, and if you find the Notes app too limiting for word-processing, I suggest a third-party text editor applications like Byword that work across both Mac and iOS devices. TextEdit is a native text editor program on all Macs. It great for typing simple reports, charts, and notes. Unfortunately, its iCloud integration only works with Macs running Mountain Lion, whereas Byword can work on both Lion and Mountain Lion. Using TextEdit with iCloud is pretty straight forward. You now have the option to save documents either in the cloud or in the Finder. Even if you’re not using multiple Apple devices, one of the useful features of saving TextEdit documents to iCloud is that if your Mac ever crashes or is stolen, your documents are in the iCloud where they can be retrieved. With documents saved in iCloud you don’t have to hunt for them in the Finder. Apple has set up a Documents folder for each iCloud integrated application. When you save a text document in TextEdit, you are presented the option to save it to iCloud or to the Finder. You locate your saved TextEdit documents in iCloud by clicking on File > Open. At first it may look as if you can’t organize your files into separate folders, but you can. Apple brought the iOS folder feature to Mountain Lion in this regards. Just as you create folders for your apps on your iOS devices, you simply drag one file on top of another to create a folder for those files. From there you give the folder a name and click on the outside of it to close it. Unlike with the traditional Mac Finder, you can’t create folders from the drop-down dialogue box. After you create a folder in iCloud, it will show up for you to save new documents to. In the iCloud folder feature, notice you can start a New Document in this iCloud folder, instead of using File > New. Notice also if you right- or Control-click on a file in the folder, you get the option to Rename it, Move to Trash, Duplicate, preview it, or share it via email, Message, and to another Mountain Lion-running Mac using AirDrop. When you click on the title name of a TextEdit file, you also get similar file renaming and relocation options, including the ability to Lock a file so that changes can’t be made to it, as well as the ability to browse saved versions of that file. As I noted before, you can only sync TextEdit documents across Macs running Mountain Lion. If want to sync text documents with your iOS devices, you will need to use Pages, the Notes app, or a third-party application. Since using Notes is pretty straight forward, I’ll demonstrate syncing options in iCloud using Pages. Pages (as well as the other two iWorks programs) have the same iCloud integration found with TextEdit. But syncing text documents is where iCloud provides an advantage over say Dropbox. For with iCloud the changes you make to documents saved to iCloud get updated almost automatically. When you launch the Pages app on your iPhone or iPad, all your Pages documents will be download to the device if they are saved in iCloud. When you open a document from iCloud on your mobile device you get the option to preserve the original document on the mobile device, or make a copy of it and then open the most updated version. This is important because unlike Pages on your Mac, there’s no Browse Versions feature on your iOS devices running Pages. If you’re working on a Pages document on your Mac, and then you switch to that same Pages document already opened on say your iPad (by the way, I find reading Pages documents on my iPad nearly like reading them in a paper format. It’s different from reading them on my Mac.) the changes won’t always be automatic. You may have to wait several seconds for the update to occur—at least that’s been my experience. However, if the Pages document on your iOS device is closed, it will update to the last version saved to iCloud when you open it. When you close Pages (or other iWorks) document on your iOS device, you will see an indication that it is being updated in iCloud. 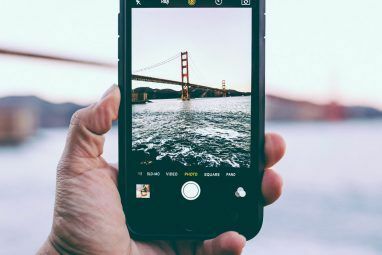 If you’re going back and forth between your Mac and iOS devices, you just need to be aware of the changes you have made to the documents. Browsing Versions on your Mac can very useful for retrieving changes, but I wouldn’t totally count on it in all cases, since it can only show saved changes. This syncing feature of iCloud is great, but unfortunately, as far as I can tell, it does’t allow you to co-author a document in real time as say you can with Google Docs. You can share documents, but no one else can access documents in your iCloud account on their computer. Though iCloud is out of beta stage, Apple will continue to build and perfect it. Let us know what you think of iCloud so far. Is it a feature in Mountain Lion that you were looking forward to? What improvements would you like to see made, and what issues if any have you had with it? 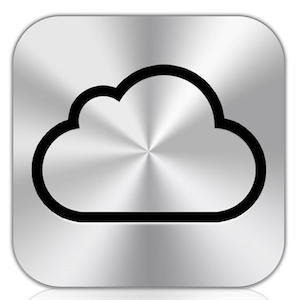 For our other iCloud related articles, see our directory here. Explore more about: Digital Document, iCloud. Stupid article. years ago update. No help How-to-use-iCloud-docs-on-Excel. Albert, I believe the only documents you can open in your iCloud account are with apps (e.g., Pages, Byword, Drafts) that support the feature. Because TextEdit is not an iOS app, those documents can't be opened on your iPhone. I would suggest maybe using Byword (it's cross platform) instead of TextEdit. Hope that helps. There is no longer a need to use TextEdit, I recommend using Pages which is part if the iWork suite, it can create Pdf's Rtf's Pages Word documents and they are all synced and shared on all your devices. iWork is inexpensive and a lot nicer to look at and easier to understand. Apples computers also come with an app called Preview, it is used to preview any kind of document, word, pages, rtf etc or PDF however you can also use its edit abilities. You do not ever need Acrobat Reader or any other kind of PDF viewer or creator on Apples computers. The entire iWork or iLife suit allows you the ability to automatically save and share any documents as PDF and even password protected PDF or editable PDF. In fact any app on an apple computer under the Print function gives you this ability to save and share as PDF or other kind if document. 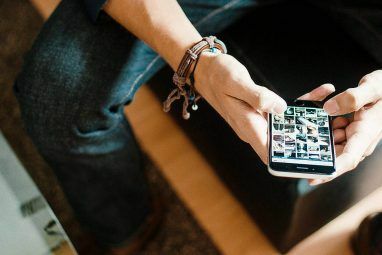 In terms of image files you can even use Preview to save or convert the file to say .png or .jpeg or .gif or .tiff or a Photoshop format or whatever. It really isn't that difficult, I see folks making a lot if mistakes and making so many unnecessary steps to convert this or that or share this or find this Mac compatible word processor, when you don't need to at all. 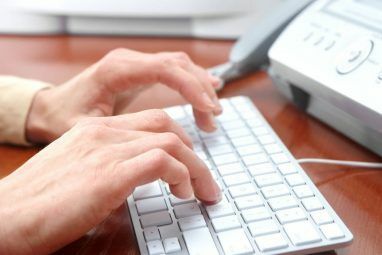 You just need to know from the start how to use the computer properly, it works differently to a pc in that it does not entirely rely on third party applications to say create presentations, or word processing, or excel or PDF or this or that. It is completely integrated within the computer itself and within the iWork suite, which is like only $29! The only time you may have a problem with sharing say a pages document to word us when word or pages may not have the specific font that is embedded in the document, in this case if the document come from a pc to a Mac, the Mac will automatically print the user to download the missing front, on the Mac to PC, the PC user will need to do the same however it may not prompt you. Other issues you may have is on a graphics side, like say for instance you use a create 'gradient color fill' effect in a box on one of your documents, the MS Office suite cannot always display these correctly, in that case the apple system will show the errors before you send the document to allow you to make compatable changes or it will render the color fill as a solid color instead of a complex gradient style. The same goes for Keynote to Powepoint, Numbers to Excel and so on, it's a matter of trial and error and in most cases, sending an individualized document that has thrills and bells and whistles in its design should just be sent as a hq PDF because that's all you need. In terms of co-authoring between Mac and PC word documents simply use the share as feature described above. Hey I wanted to see whats going on - in my girl's phone. she cheated before and I want to know if shes doing it again. i have all the credentials to her iCloud. can I sign in through my phone and sync in all her text messages to my iPhone? or PC? Lol, Johnson, I'm not sure about all that. I don't think text messages are kept on iCloud accounts. Plus, it might be better to just to have a serious talk with your girlfriend instead of snooping in her devices. "Now when you open Preview or TextEdit on one Mac, you can see all your documents from any other Mac." But they do not say how to do so. p.s. Is it a simple matter of signing onto your iCloud account on any given Mac and then, when you go to "File, open" in TextEdit, it will automatically list files in whoever's iCloud account is currently on line? Oh okay, so signing into iCloud via Preferences. That makes sense. Thanks. Maybe they are referring to Macs on the same network? Do you have a link on the Apple website where this is stated? "The way you access them on another Mac is to simply run TextEdit. As long as the Mac is connected to the Internet and using the same iCloud account, then TextEdit should show the same documents across all of your Macs. But perhaps what you are asking is how to access these from a Mac that is not yours. Right now, there is no way. So the iCloud Documents section of TextEdit is not a good way to share TextEdit documents with others or on Macs you don’t own. It is for accessing your documents on your Macs." Cloud Mate makes it a little more Drop Box like, it's kind of like a Finder for iCloud documents. Costs $4.99 so it's not free, and Apple should be providing this. Yep, I can see it getting improved. But right now it can't replace my Dropbox account. Hey, Rigoberto, as always thanks for the feedback. It might be useful to write an article about setting up Dropbox or iCloud for enterprise. what is the advantage of this iCloud over other cloud services ? The one advantage of iCloud and text document is that you can save files directly to iCloud, and updates to those files occur in real time. On the other hand, Dropbox is better for saving nearly all files in the cloud.